One of the Ravelry boards that I follow, with spinners much more talented than I, has a mitten challenge right now. It is the perfect time to knit mittens, winter is supposed to arrive this evening. We have been having unseasonably warm weather, but that is about to change. 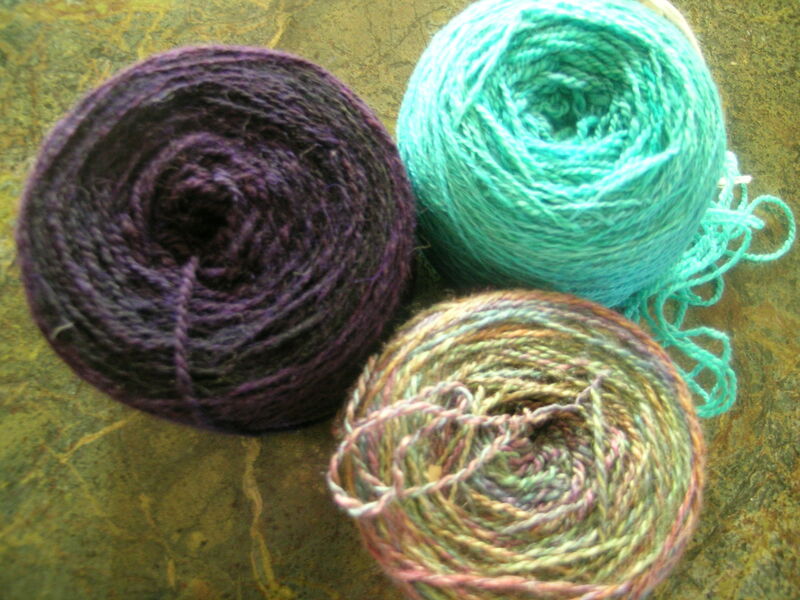 So, I went on a search for which of my hand-spun fibers to use and which pattern to knit. 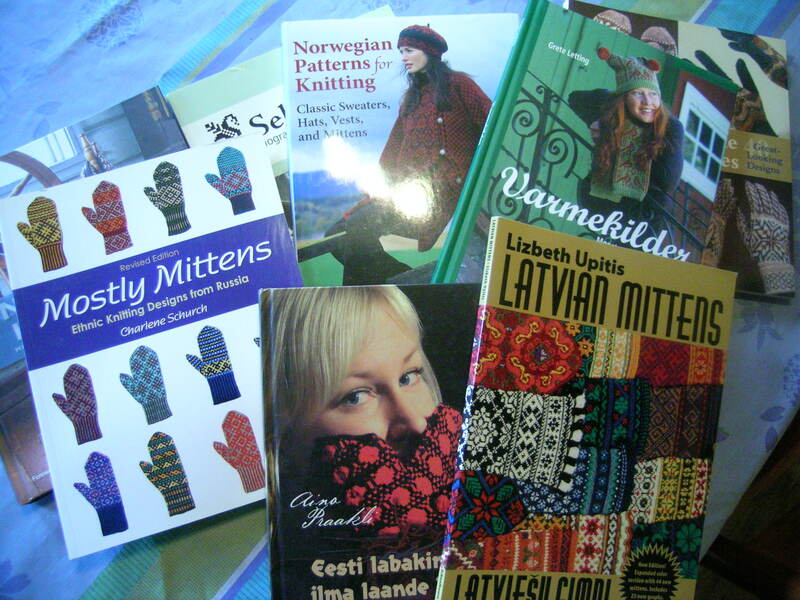 I pulled out all of my mitten knitting books and spent an evening perusing through them to no avail. Then I went and looked at my Ravelry “favorites”, and found the mittens that I HAD to make next. I love this pattern so much that I have favorites from 2 different people’s knit up versions of it. This is a free download of the chart only and can be found HERE if you scroll down to the 36×36 charts. You could easily get lost however in any of the amazing other charts available to download. Remember, these are charts only, and assume that you know how to make a pair of mittens, and how to add a cuff and interpret the charts. Next was choosing the yarn. I love all 3 of these fibers, and they all seem the perfect weight for stranded knitting at a fine gauge. I first thought that the blue-green with the variegated yarn would be it, but in doing a test swatch, the purple & variegated combination was perfect. Both of these fibers were from Fiber Optic, the purple is a Shetland and the multi-colored is a dye-break called “Mad Monet”. I started with the cuff, doing an Inkel Braid first, followed by 24 rows of corrugated ribbing. When I finished, I decided that it was too loose, so it has since been torn out and I will restart with 64 sts (72 original). 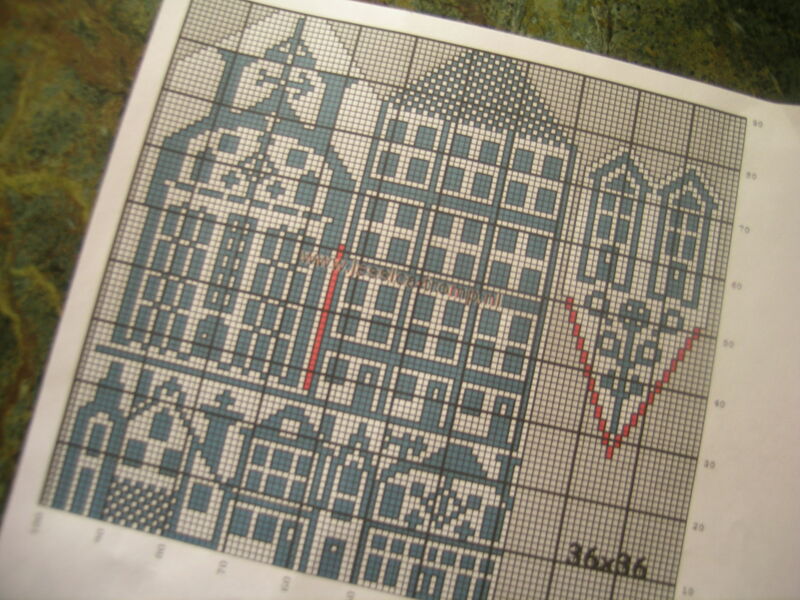 The charted pattern is 36 x 36, although the chart is only 71 sts wide. 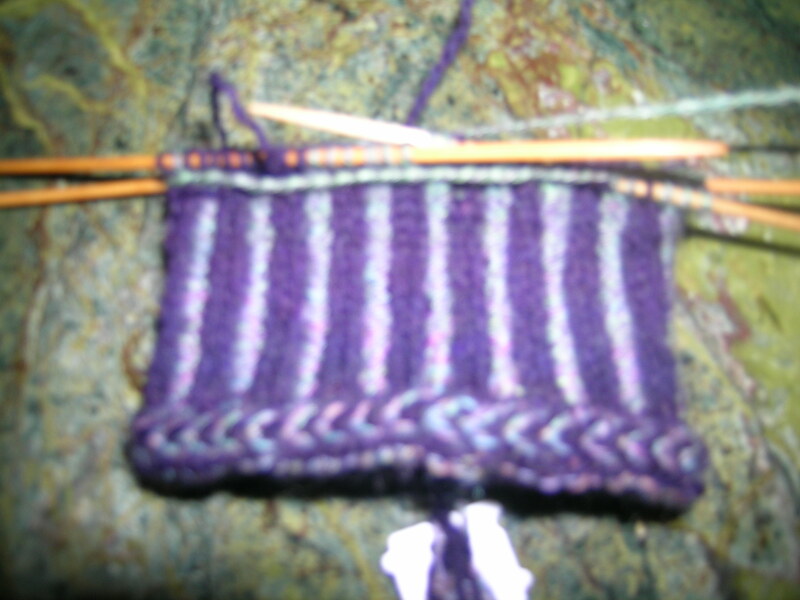 I don’t quite understand this, and the decreases at the top of the mitten are not balanced, so I will adjust the chart to end up with a 72 st pattern.